In this post, I’m going to list and explain the most commonly used terminology in Active Directory and related technologies. 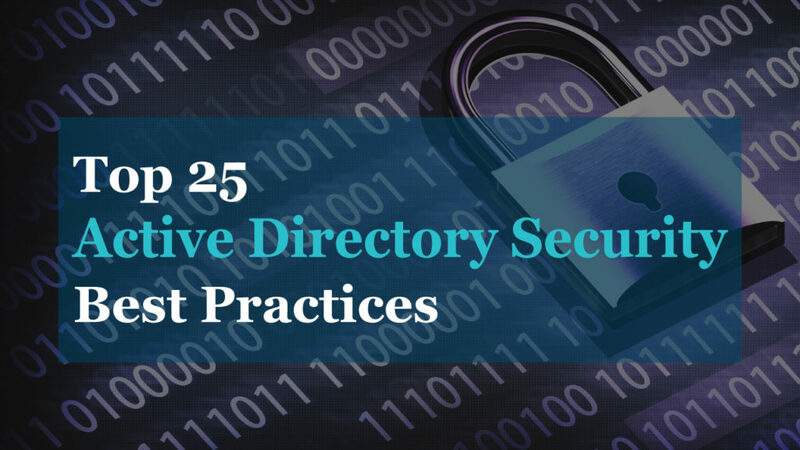 If you are new to Active Directory, this will be a great resource for you to get familiar with Active Directory basics and fundamental concepts. I’ve grouped terms together in different sections to make it easier to understand and reference. Some topics can be very technical, I’ve provided short and easy to understand terminology. I then provide additional resources at the end of each section if you wish to learn more. These are basic terms you should be familiar with when dealing with Active Directory. 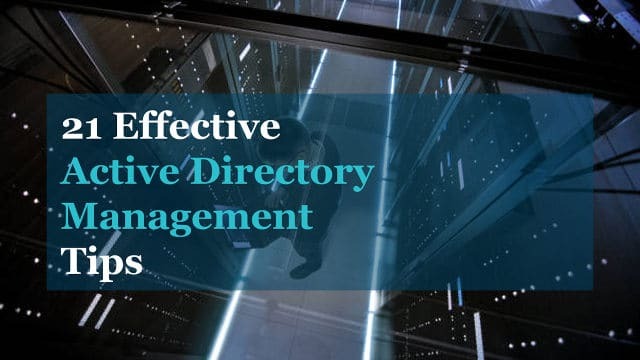 Active Directory is a directory service that centralizes the management of users, computers and other objects within a network. Its primary function is to authenticate and authorize users and computers in a windows domain. For example, when a user signs into a computer on the domain it checks the username and password that was submitted to verify the account. If it is a valid username and password the user is authenticated and logged into the computer. Don’t get confused with the following three terms they all refer to Active Directory. Domain Controller – This is also a server running the Active Directory Domain Service Role. It is recommended to have multiple domain controllers for failover reasons. This service was introduced in Windows Server 2008 R2. It is automatically installed with ADDS or ADLDS role and is configured to run automatically. This service provides remote management of any local directory services. A DNS name to identify the domain. When you log into a computer that is part of a domain you are logging into the DNS domain name. My DNS domain is ad.activedirectorypro.com, this is how my domain is identified. When you add a child domain to a parent domain you create what is called a domain tree. A domain tree is just a series of domains connected together in a hierarchical fashion all using the same DNS namespace. If activedirectorypro.com was to add a domain called training, or videos it would be named training.activedirectorypro.com and videos.activedirectorypro.com. These domains are part of the same domain tree and a trust is automatically created between the parent and child domains. Functional levels determine what capabilities are available in the domain. Higher functional levels allow you to use the latest and greatest technologies in your Active Directory domain. When possible use the highest functional levels for your domain controllers. A forest is a collection of domain trees. The domain tree shares a common schema and configuration container. The domain tree is connected together through a transitive trust. When you first install Active Directory and create a domain you are also creating a forest. A domain controller has multiple functions that are referred to as the FSMO roles. These roles are all installed on the first domain controller in a new forest, you can move roles across multiple DCs to help with performance and failover. Schema Master – The schema master is a forest wide role that handles all the changes to the Active Directory schema. Domain Naming Master – This is a forest wide role that is the master of domain names. It handles the namespace and adding removing domain names. PDC Emulator – This role handles password changes, user lockouts, group policy and is the time server for the clients. RID Master – This role is responsible for processing RID pool requests from all DCs within the domain. When objects such as users and computers are created they get assigned a unique SID and a relative ID (RID). The RID master role ensures objects do not get assigned the same SID and RIDs. Infrastructure master – This is a domain wide role used to reference objects in other domains. If users from Domain A are members of a security group in Domain B, the infrastructure master role is used to reference the accounts in the correct domain. Organizational Unit (OU) – An OU is a container object that can contain different objects from the same domain. You will use OUs to store and organize, user accounts, contacts, computers, and groups. You will also link group policy objects to an OU. Users – User accounts are assigned to primarily assigned to users to gain access to domain resources. They can also be used to run programs or system services. Computer – This simply is a computer that is joined to the domain. Groups – There are two types of objects, a Security group, and a distribution group. A security group is a grouping of users accounts that can be used to provide access to resources. Distribution groups are used for email distribution lists. Contacts – A contact is used for email purposes. You cannot log on to the domain as a contact and it cannot be used to secure permissions. Shared Folder – When you publish a shared folder in Active Directory it creates an object. Publishing shared folders to AD makes it easier for users to find shared files and folders within the domain. Share Printer – Just like shared folders you can publish printers to Active Directory. This also makes it easier for users to find and use printers on the domain. LDAP is an open platform protocol used for accessing directory services. LDAP provides the communication mechanism for applications and other systems to use interact with directory servers. In simple terms, LDAP is a way of connecting and communicating with Active Directory. The global catalog server contains a full replica of all objects and is used to perform forest wide searches. By default the first domain controller in a domain is designated as the GC server, it is recommended to have at least one GC server for each site to improve performance. The Active Directory database is based on Microsoft’s Jet Blue engine and utilizes the Extensible Storage Engine (ESE) to work with the data. The database is a single file named ntds.dit, by default it is stored in the %SYSTEMROOT%\NTDS folder and each domain controller. The Active Directory recycle bin allows administrators to easily recover deleted items, this is not enabled by default. How to enable the Recycle Bin step by step guide. RODC servers hold a read-only copy of the Active Directory database and do not allow changes to AD. Its primary purpose is for branch offices and locations with poor physical security. The Active Directory schema defines every object class that can be created and used in an Active Directory forest. It also defines every attribute that can exist in an object. In other words, it is a blueprint of how data can be stored in Active Directory. For example, a user account is an instance of the user class, it uses attributes to store and provide information about that object. A computer account is another instance of a class that also is defined by its attributes. There are many classes and attributes unless your programming or troubleshooting some advanced issue it is not necessary to know everything about the schema. Tombstone is a deleted object from AD that has not been removed from the database, the object technically remains in the database for a period of time. During this period of time the object can be restored. The following are some important attributes that you should be familiar with when working with Active Directory. userPrincipalName (UPN) – This is a common logon name that is in the format of an email address. A UPN looks like this, robert@ad.activedirectorypro.com, a UPN can be used to log into a windows domain. objectGUID – This attribute is used to uniquely identify a user account. Even if the account is renamed or moved, the objectGUID never changes. sAmAccountName – This attribute is user for account logons to a domain. It was the primary means to logon to a domain for older Windows versions, it can still be used on modern versions of Windows. objectSID – This attribute is the security identifier (SID) of the user. The SID is used by the server to identify a user and their group membership to authorize users access to domain resources. sIDHistory – This attribute contains previous SIDs for the user object. This is only needed if a user has moved to another domain. Distribution – Distribution groups are used by email applications t easily send an email to a group of users. Security – Security groups are a group of accounts that can be used to easily assign to a resource or apply for permissions. For example, if I wanted to lock down a folder for the HR department I could just put all the employees in a security group and apply the group to the folder instead of every individual account. Universal – Can contain objects from other universal groups and any domain in the tree or forest. Global – Can contain objects from the domain and be used in any domain tree or forest. Domain Local – Can contain objects from any domain but can only be applied to the domain it was created in. This is a server role that allows you to build a public key infrastructure (PKI) and provide digital certificates for your organization. Certificates can be used to encrypt network traffic, application traffic, and used to authenticate users and computers. When you see https in a browser address that means it is using a certificate to encrypt the communication from the client to the server. The federation service allows single sign on to external systems like web sites and applications. Office 365 is a common use for federation services. When you sign into office 365 the username and password is redirected through the federation server and the credentials are checked against your on-premise Active Directory. So this allows you to provide authentication to external systems by using your local Active Directory to authenticate the username and password. This service provides directory services using the LDAP protocol without the need to deploy domain controllers. This is primarily used to provide directory service functionally to directory enabled applications. This does not replace AD DS. This service provides methods for protecting information on digital content. It protects documents by defining who can open, modify, print, forward or take other actions on documents. You can also use certificates to encrypt documents for better security. Domain Name System is a service that provides name resolution, most commonly hostname to IP address resolution. In this section, you will learn about some of the important components of DNS. PTR – Maps an IPv4 address to a hostname. The reverse of an A record. TXT – Can contain various data. Often used for verifying domains and security reasons. Dynamic DNS is a method for clients to register and dynamically update their resource records with a DNS server. This allows clients that use DHCP to auto update their DNS record when their IP address changes. This is most often the DNS A record, the DNS name of a device that can be communicated with. For example, a server with the name of DC1. If DC1 was registered in DNS you would refer to that as the hostname. A zone is used to host the DNS records for a particular domain. The most important and commonly used zone type is Active Directory integrated zones. There are several other zones you should be familiar with, I cover the other zones in my article, Windows DNZ Zones Explained. This is a feature that can be enabled to help automate the cleanup of stale DNS records. I’ve created a separate post that explains more and provides step by step instructions to configure DNS Aging and Scavenging. In a Windows Domain, SRV records are used by clients to locate domain controllers for Active Directory. When you install the AD DS service the process will automatically create the SRV records for Active Directory. DNS forwarders are servers that resolve hostnames that your internal DNS server cannot resolve, primarily external domains such as internet browsing. You can set up to forward DNS requests to any server of your choosing, often times an ISP is used. Root hint server is another method to resolve hostnames that your internal server cannot resolve. The difference is these servers serve as the root DNS zone for the internet. They are managed by several large organized for security and redundancy. You can use either root hints or forwards to resolve external names. Replication is the process that ensures changes made to one domain controller are replicated to other domain controllers in the domain. The connection object specifics which domain controllers replicate with each other, how often and their naming contexts. The Knowledge Consistency Checker (KCC) is a process that runs on all domain controllers and generates a replication topology based off the sites, subnets and site link objects. A subnet is a logical portion of an IP network. Subnets are used to group devices into a specific network, often by location, building or floor. If you have a multisite environment, Active Directory needs to know about your subnets so it can properly identify the most efficient resources. If this information is not provided clients can authenticate and use the wrong domain controller. A site is a collection of subnets. The Active Directory sites help define the replication flow and resource location for clients such as a domain controller. Site links allow you to configure what sites are connected to each other. A site link bridge is a logical connection between sites. It is a method to logically represent transitive connectivity between sites. The site topology is a map that defines the network connectivity for replication and location for resources in the Active Directory forest. The site topology consistent of several components including sites, subnets, site links, site link bridges, and connection objects. This is replication that occurs between domain controllers in the same site. In an environment with multiple sites, a change in one site needs to be replicated to the other site. This is called Inter-Site replication. Kerberos is a security protocol that securely allows users to prove their identity to gain access to domain resources. KDC is a service that runs on domain controllers and supplies session tickets used in the Kerberos authentication protocol. SPN is a unique identifier of a service instance. NTLM is a collection of security protocols used to authenticate, provide integrity and confidentiality to users. Kerberos is the preferred authentication protocol and is used in modern Windows versions, NTLM is still available for older clients and systems on a workgroup. Full Control – This gives users the rights to add, modify, move and delete files and folders. Full Control – Gives users modify, change and read rights. A DACL identifies what account is allows or denied access to an object such as a file or folder. DACL contains ACEs, the ACE defines what account and what level of access is to be granted to the resource. If no ACE is present the system denies all access to the object. The SACL enables admins to log attempts to access a security object. A feature in Windows 2008 and above that allows you to define different password and account lockout policies for different accounts. Generally, all accounts should have the same policy but you may have a service account or a very specific account that needs a different policy. For example, our guest wifi account kept getting locked out due to bad password attempts. I used a fine granted password policy to set a higher account lockout then the rest of the domain. This section includes the management consoles you will need to use to manage the various Active Directory technologies. You will need to install the Remote Server Administration Tools (RSAT) to access these management consoles. This is the most commonly used console for managing users, computers, groups, and contacts. Starting with Server 2008 R2 Microsoft introduces the ADAC to manage their directory service objects. This console can be used to create and manage user accounts, computer accounts, groups, and organizational units. It provides the same functionality as the Active Directory Users and Computers tool. Due to the complicated interface, I prefer ADUC over this console. This console is used to raise the domain mode or functional level of a domain or forest. It is also used to manage trust relationships. This is the main console for managing replication. This console is used to manage site topology objects, connection objects, schedule replication, manually force replication, enable the global catalog, and enable universal group caching. Active Directory Service Interfaces Editor is a GUI tool that can be used to manage objected in Active Directory. This tool provides access to object data that is not available in Active Directory Users and Computers. This console is used to manage DFS namespaces and DFS replication. This console is used to create DCHP scopes, view lease information and all things DHCP. This console is used to create DNS zones, resource records and manage all things DNS. Although this is not a management console it is the most powerful tool to automate administrative tasks. PowerShell can speed up many routine tasks that the GUI management tools cannot do. Dynamic Host configuration protocol is a service that provides centralized control of IP address. When your computer connects to a wired or wireless network a DHCP server is contacted to find and assign you an available IP address. Scope name – This is the name of the scope. Give it a descriptive name so it is easy to identify which devices it is for. IP address exclusions – You can specify to exclude IP address from the scope. This is useful if you have devices on the subnet that need a static IP like a router or server. Lease duration – The lease specifies how long a client has an IP address before returning it to the pool. There are many DCHP options, below are the most commonly used options in a Windows domain. 005 DNS server – The IP address of the DNS server clients should use for name resolution. 015 DNS Domain Name – The DNS suffix the client should use, often the same as the domain name. DHCP filtering can be used to deny or allow devices based on their MAC address. For example, I use it to block mobile devices from connecting to our secure wifi. A superscope is a collection of individual DHCP scopes. This can be used when you want to join to scopes together. Honestly, I’ve never used this. This is a method of providing fault tolerance for a DHCP scope. Using DHCP failover is not the preferred method for fault tolerance. DCHP failover was a new feature starting in server version 2012. It allows two DHCP servers to share lease information providing high availability for DCHP services. If one server becomes unavailable the other server takes over. Group policy allows you to centrally manage user and computer settings. You can use group policy to set password policies, auditing policies, lock screen, map drives, deploy software, one drive, office 365 settings and much more. GPO’s are a collection of policy settings that you use to apply to computers or users. 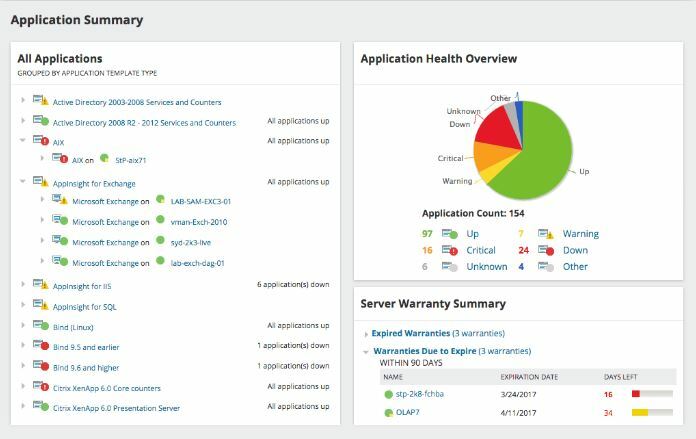 Client workstations and member servers refresh their policies every 90 minutes. To avoid overwhelming the domain controllers their is a random offset interval added to every machine. This prevents all the machines from requesting group policy upgrades from the DC at the same time and potentially crashing it. By default, group policy objects are inherited. To change this behavior you can use the block inheritance option at an OU level. If you want to enforce policies and prevent them from being blocked use the no override option. In a GPO there are user and computer settings. User settings only apply to user objects. If you configure user settings in the GPO, the GPO must be applied to user objects. The computer settings in a GPO are settings that can be applied to a computer. If you configure the computer settings the GPO must be applied to computer objects. Resultant Set of Policy is a Microsoft tool that is built into Windows 7 and later versions. It provides administrators a report on what group policy settings are getting applied to users and computers. It can also be used to simulate settings for planning purposes. I have a complete tutorial in my article How to use RSoP to check and troubleshoot group policy settings. You can install additional group policy templates to extend the default GPOs supplied by Microsoft. Some common templates used are Office 365, Chrome, Firefox and those supplied by 3rd party applications. Templates are xml based files usually in a ADM format or ADMX file extension. Did I miss anything? Have anything to share? Let me know in the comments below.